MOSCOW. Dec 27 (Interfax) – Patriarch Bartholomew by his actions is fulfilling a U.S. order in Ukraine, Metropolitan Hilarion, the head of the external church relations department of the Moscow Patriarchate, said. “Patriarch Bartholomew is part of a big geopolitical project, a project aimed at further weakening Russia, at driving a wedge between the peoples of Russia and Ukraine. And the Russian Orthodox Church, which unites these peoples, is now probably the main obstacle to the implementation of the U.S. plans,” Metropolitan Hilarion said in an interview posted on the website of the Russian Orthodox Church. The Constantinople patriarch is financed from the U.S. and “fulfils orders from the U.S. administration,” the metropolitan said. “The U.S. administration now doesn’t even hide that it is the main customer of this whole story, and Patriarch Bartholomew doesn’t hide that he is fulfilling this order,” he said. “Of course, he is trying to put pretty rhetoric on all this, he is citing some non-existent canons, which allegedly authorized him to make independent decisions on granting autocephaly [to the church in Ukraine]. He says this decision will cure the schism in Ukraine. But we see the opposite thing: this decision can only deepen the schism, which is what is happening now,” the Russian church official said. 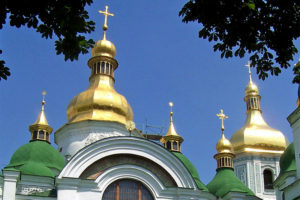 On October 11, the Synod in Istanbul abolished its 1686 decree handing the Kyiv Metropolitanate over to Moscow, announced the creation of a mission in Kyiv, and rehabilitated the leaders of the non-canonical Orthodox churches in Ukraine. The Moscow Patriarchate’s Synod did not recognize those decisions and responded by fully severing ties with Constantinople.